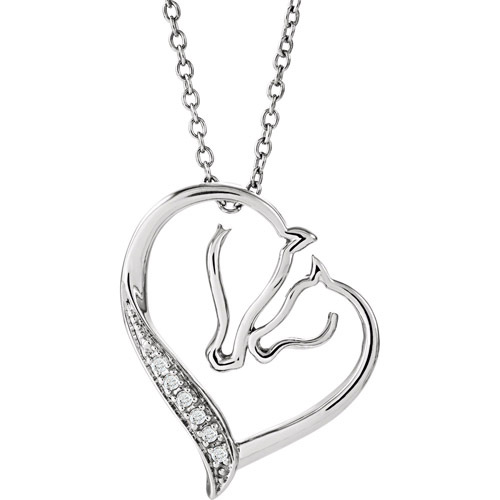 Desc: Sterling Silver mare and foal diamond necklace. The mare and foal are fashioned from Sterling Silver wire. The mare and foal face each other and are nuzzling each other and have diamonds prong set beneath the mare. The design is silhouette and is open behind the design. The necklace has a bright polish finish.